Your favorite male (or you!) deserves an updated scarf this season! What could be better than this handsome, textured scarf with a nifty pull-through design? 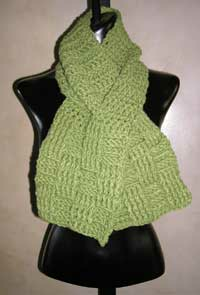 Crocheted in a soft, bulky yarn - it works up quickly and keeps his neck nice and warm without added bulk. It's sure to receive plenty of comments that will reflect beautifully on you! 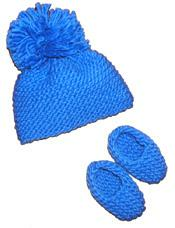 Shown in a Merino Wool/Acrylic blend yarn. Ideal for the advanced beginner crocheter.